Sophomore star  now 25 pounds slimmer  will be most experienced Utah starter. Scott Sommerdorf | The Salt Lake Tribune Jordan Loveridge will enter next season as Utah's centerpiece player. He's lost 25 pounds this offseason as he worked hard on transforming his body and his game, Wednesday, July 10, 2013. 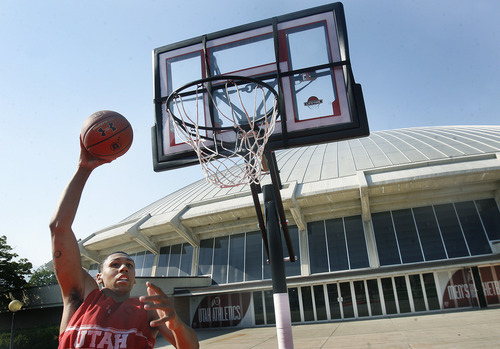 Scott Sommerdorf | The Salt Lake Tribune Jordan Loveridge will enter next season as Utah's centerpiece player. He's lost 25 pounds this offseason as he worked hard on transforming his body and his game, Wednesday, July 10, 2013. Michael Mangum | Special to the Tribune Utah forward Jordan Loveridge (21) pulls up for a jumpshot during their game against the Willamette Bearcats at the Huntsman Center on Friday, November 9, 2012. 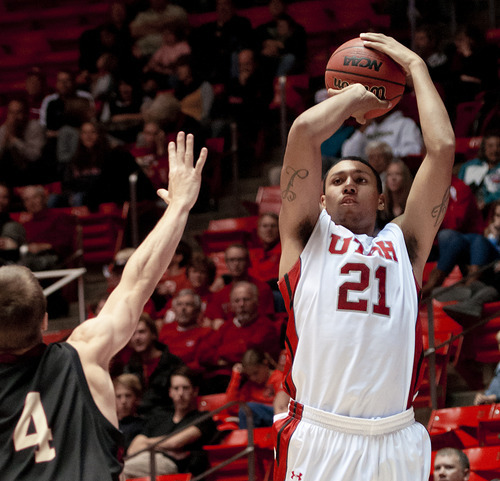 Loveridge led the team with 18 points and the Utes beat the Bearcats 104-47. Scott Sommerdorf | The Salt Lake Tribune Jordan Loveridge will enter next season as Utah's centerpiece player. He's lost 25 pounds this offseason as he worked hard on transforming his body and his game, Wednesday, July 10, 2013. Scott Sommerdorf | The Salt Lake Tribune Jordan Loveridge will enter next season as Utah's centerpiece player. He's lost 25 pounds this offseason as he worked hard on transforming his body and his game, Wednesday, July 10, 2013. The change in Jordan Loveridge is evident at first glance. 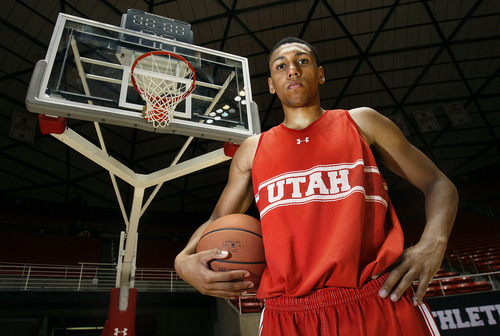 Seldom has Utah&apos;s talented power forward looked so lean, almost skinny. His mother, LaTrill Loveridge, makes it a point to avoid hugging him around the waist because she says that there&apos;s no longer anything left to hug in that area. On the court, his first step is quicker. During a recent pro-am game in Taylorsville, the rising sophomore took a pass from Ahmad Fields in tight quarters and turned it into an alley-oop dunk with the benefit of taking just one step to the basket. No way Loveridge would&apos;ve been able to pull that off during his freshman season. On Wednesday, the West Jordan native stepped on the scale and weighed in at 217 pounds. He was 242 at the end of March. The weight loss will allow him to play more at small forward. Perhaps it will help him shoulder the expectation of evolving from freshman starter to sophomore star  that&apos;s the plan, anyway after this busy offseason. "For a guy to show that kind of dedication to his body and to getting better, it just speaks volumes to what kind of person he is," Ute sophomore point guard Brandon Taylor said. "He&apos;s a leader without having to say a word. He just comes in and works hard every day, and guys look at that and really respect him for it." The Utes will be young this season. Gone are three senior starters who keyed a run to the Pac-12 Tournament semifinals  which everyone associated with the program envisions as a springboard into October. Two years ago, Loveridge was the hotshot local recruit who stayed home to breathe life into a dead program when he could have gone to a number of other places. Last year, the 6-foot-6 forward averaged 12 points and seven rebounds per game, morphing into one of the better freshmen in the Pac-12. Now he must take another leap, in production as well as stature with his teammates. He will be the most experienced starter in Larry Krystkowiak&apos;s lineup. He will be the No. 1 option offensively. On most nights last season, he created matchup problems because of his offensive versatility. And for all of the good he did as a rookie, he knows that he has to be better going forward. "I don&apos;t try to chase being a leader or any of that," Loveridge said. "I&apos;ve been here a year, so I know my teammates look to me to make a play or get a basket. They know I can make a play. I want to lead in any way that I can so we can win games. That&apos;s the biggest thing. I want to win games." Loveridge says shedding 25 pounds hasn&apos;t affected his strength. And while he had the full blessing of the Utah coaching staff, his diet wasn&apos;t solely for basketball reasons. For years his father, Bill Loveridge, has worked the graveyard shift for a packaging company. Though often exhausted after leaving work at 5 a.m., he would still take Jordan to the local gym to shoot jumpers before school started. That basketball bond is just one reason Loveridge and his father are extremely close. In late March, Bill Loveridge was diagnosed with diabetes, a condition that has required him to lose significant weight and to watch what he eats. 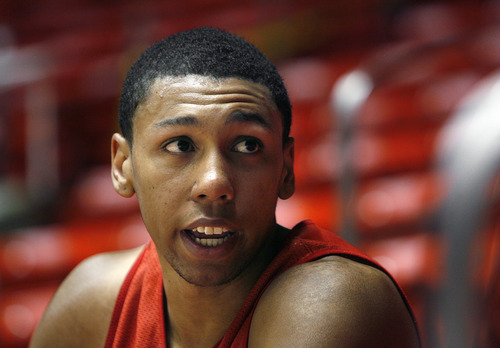 Jordan Loveridge wasn&apos;t about to sit back and watch his father take the journey alone. So he and his dad educated themselves on the process of eating right. "As close as we are, it&apos;s something that&apos;s made us closer," Bill Loveridge said. "We talked about it once, and then we&apos;ve just kind of gone out and done it." College students are notorious for their often unhealthy eating habits, but because of their youth they mostly get away with it. Loveridge was the same way until four months ago. Now, he studies food, calories and nutrition as much as he dives into his academics. If it isn&apos;t fruit, he doesn&apos;t eat it past 8 p.m. He&apos;s cut down on carbs and sugars. He knows little things, like which pasta sauces are better for him. Loveridge&apos;s body has changed as a result. Never has he been so quick and explosive off the dribble. Loveridge as a power forward will always be undersized. 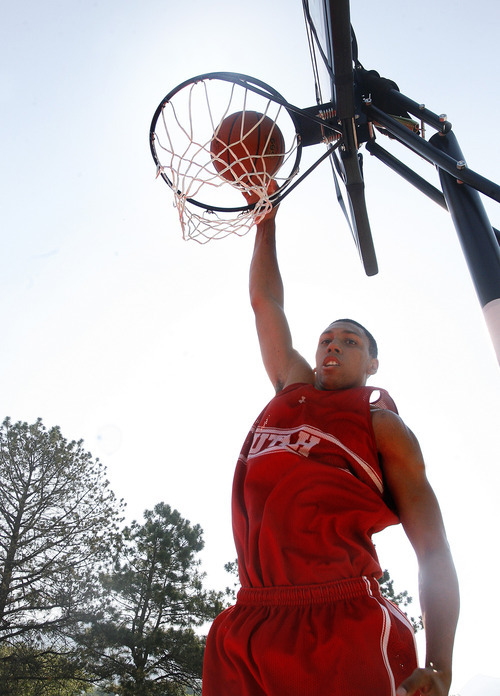 But so was Andre Roberson out of Colorado, who led the country in rebounding last season at 6-7 and 210 pounds. He entered the NBA Draft and was selected in the first round. Loveridge played the four spot almost exclusively last season. The added quickness will allow him to swing back to small forward a lot more as a sophomore. "What position he plays will depend on his teammates," Krystkowiak said. "If guys step up on the interior and we have people who can play power forward, I think we can afford to put Jordan on the perimeter more. If we turn out to be more guard-oriented, we&apos;ll play Jordan more inside." That in large part explains the advantages of having Jordan Loveridge on your team. His ability to play both positions will give the offense wiggle room to try different things. He&apos;s got the ability to shoot the ball out to 3-point range. He was already too quick for most power forwards in the Pac-12. Now, if you stick a small forward on him, he&apos;ll just go to the paint and post up. Loveridge has already proved he can play in one of the best conferences in the country. Now he&apos;s out to show he can excel. If his leaner, meaner body is any indication, he appears on his way. Freshman stats • Averaged 12 points and seven rebounds per game and scored in double figures in six of his final eight games. Scored 20 points and grabbed eight rebounds in a Pac-12 quarterfinal upset of California.